Treat someone special with this voucher, or treat yourself! Celebrate in style with Hot Stones or a Luxury Facial in the calm and peace of the timeless setting of The Howard Arms, Ilmington. 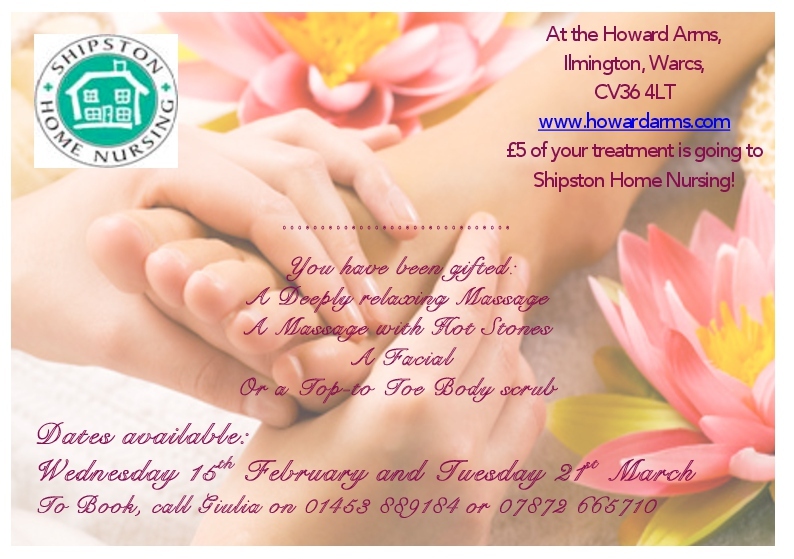 Giulia is donating £5 from every treatment to Shipston Home Nursing to make the feel-good factor go even further!